Based on the proposals received from all the Heads of Departments and the Secretariat Departments, the Government after careful examination, hereby accord permission for direct recruitment to fill in a total 18450 (eighteen thousand four hundred and fifty) vacancies. 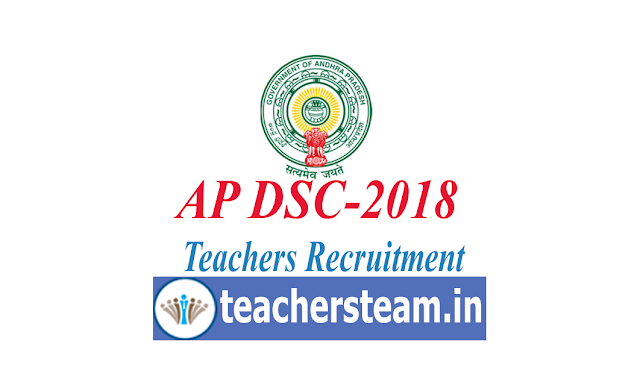 From those vacancies nearly 9 thousand plus teacher vacancies are identified in the state of andhra pradesh under all the managements. To fill all these vacancies Govt of Andhra Pradesh shall issue a vide recruitment notification and Schedule of recruitment of these vacancies. Here we are providing the sysllabus for Andhra pradesh DSC Teacher job aspirants. The syllabus shall be as per the guidelines given in the GO.Ms No.25 of 04-05-2018. For better preparation of this DSC students have to refer the previous papers of all DSC recruitments. Here we are facilitating the previous papers which candidate may download and make their preparation well in advance.